Sexual selection has led to the evolution of interesting traits and behaviors in many animal species. In widowbirds, males undergo a dramatic change in plumage coloration and produce exceptionally long tail feathers during the breeding season. This change in appearance has facets of both intrasexual and intersexual selection. As students work through this interrupted case, they develop hypotheses and propose corresponding experiments. They are then presented with data from actual experiments on sexual selection in widowbirds that they must analyze and interpret. 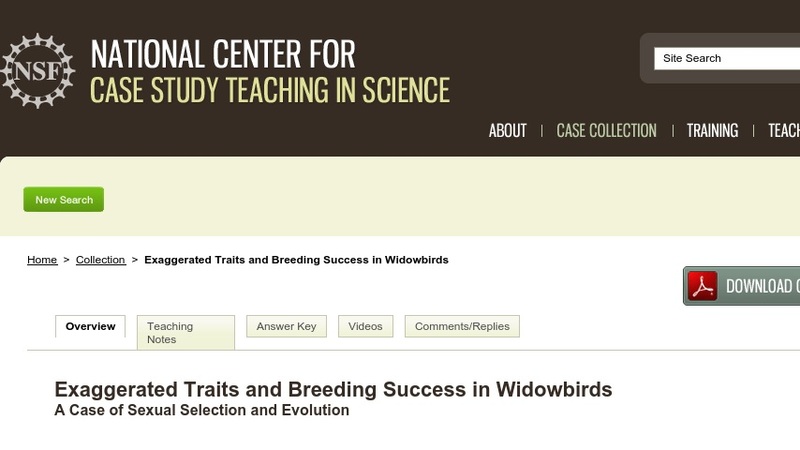 Developed for introductory-level biology students, the case could be adapted for upper-division ecology and evolution courses.